Water is also part of the liquor ingredient, it is also used for fermentation. We need a large amount of water in various processes, the best soft water for sake making is required. "Hananomai" behind the are the mountains of the South Alps exists as a natural dam, they are making liquor Using a lot of natural groundwater. Founder of Hananomai, Taka IchiSaburo started the sake making industry at Mt. Ryuu Arata Village Miyaguchi in 1864, the former Yuzuji era of the late Edo period. In 1986 is 11 years after Perry arrived in Uraga, four years after Sakuradamon Incident , three years before the Great Government Refugee. 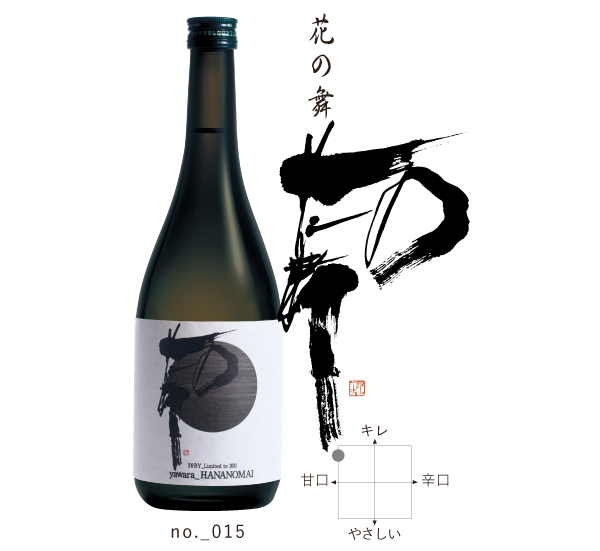 Brands of Hananomai are derived from dedication dance "Hananomai" flowing from the ancient times to the Tenryu River family. "Flower" represents a flower of rice which serves as a source of life and pray for bumper crops. "Hananomai" thinks sake making as much as child rearing. I think that you can do convincing sake making just by pouring affection and raising mercy. The necessary condition for this is to start with examination and purchase of the top quality raw material rice, to improve the facilities of the store, including Master brewer, Training skills and teamwork.After a history of trial and error exceeding 1,000 years, Nippon sake brewing establishing unrivaled brewing law in the world. We will also introduce new technologies while basing on the technology and spirit that these pioneers have built.